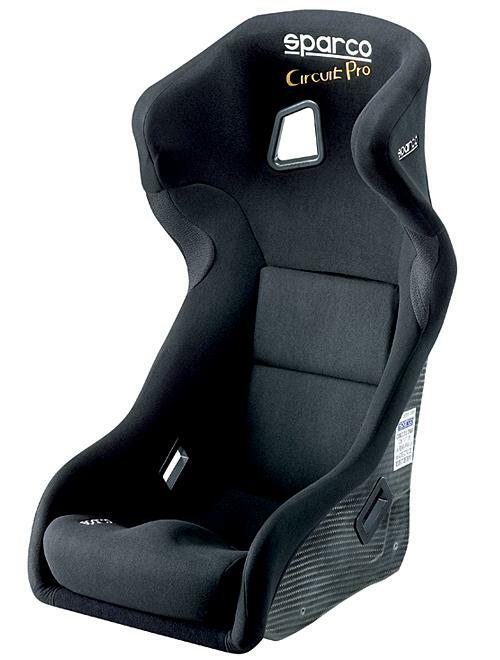 Sparco Seat - Competition Series - Circuit Pro UNIVERSAL - Dezod Motorsports Inc - Home of the automotive performance enthusiast since 2002. Developed in collaboration with the Prodrive Staff and tested with the help of Petter Solberg. New design for integrated head protection. Narro in the front part of the seat for better positioning in the car and wider in the back part for a better fit for heavier drivers. Impressive performance for both lateral control as well as increased rigidity. The Circuit Pro is wider than the standard Circuit and meant for larger drivers.